Today, my body is a Fat Burning Machine! I used to drink diet soda. So much diet soda. As if the word 'diet' on it will actually make me lose weight. I used to look for a quick fix - I don't like candy, but I never knew that eating bread, pasta, cookies, cakes (even homemade) is so unhealthy. 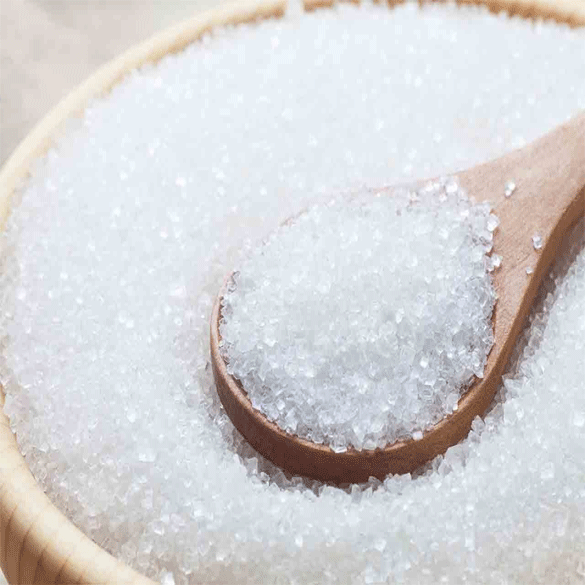 Sugar comes in many names: Aspartame, Acesulfame, Maltodextrin, Dextrose, Soluble corn fiber (made from corn syrup), corn starch, dextrin, sorbitol, high fructose corn syrup, evaporated cane juice, lactose, glucose solids, glucose, maltose, sucrose, corn syrup solids, fructose, food starch, agave nectar, molasses, diastatic malt, Florida crystals, galactose, anything that says syrup, caramel, honey, sugar, brown sugar, barley malt. I learned that carbohydrate intake is the primary factor that determines your body's fat ratio, and processed grains and sugars (particularly fructose) are the primary culprits behind our skyrocketing obesity and diabetes rates. "The notion that glucose is the preferred fuel for your body is a pervasive one. Everyone from diabetics to top athletes are advised to make sure they eat "enough" carbs to keep their systems from crashing. This is unfortunate, as this misguided advice is at the very heart of many of our current health failures." You can read the entire article here. I have researched online and found out the truth about sugar and the food industry - I see that after all - it was maybe not my fault. I cannot blame others, because the first step to healing is self admittance, but when you try to eat healthy and low fat and sugar is hidden everywhere and you think that you are eating healthy but every day you weigh more than yesterday... It is like feeding dogs the dog food... who knows what is the content of that. I did not read the labels of foods and the sugar daily recommended amount is not listed on the labels. Today I am following the ketogenic diet and there is no sugar whatsoever in my diet. I do not have cravings and I have full control of what goes in my body. People say to me - so you want to live until 100? No, not really. I want to live whatever amount of years is my package, but I want those years to be good and I want to spend them healthy and happy. With the help of the ketogenic diet I will be able to accomplish that. When you reach your ideal weight, your body will tell you. I am still doing the same thing that I did when I just started and I am not losing weight anymore. My weight today is 122 down from 185, my BMI is 20 and I am not losing anymore. It is stable so I know now that this is the actual weight of my body – bones, flesh, muscles, etc. I am happy with that. I still weigh myself to be sure that I am doing the right thing. I am not adding any more carbs (it will reignite my appetite) or more fat. I am constantly doing the same thing. The concept of Intermittent Fasting is to have a break from food for 16 hours during a 24 hours period. There are many benefits of intermittent fasting: When taking a break from food the body has the opportunity to heal itself. Another huge benefit is the rapid weight loss. Think this way: Even without dieting - You eat every morning breakfast for let say 800 calories (yes, I know there is no need to count calories, but just for the sake of the argument). If you skip breakfast everyday of the week - you are already saving 800 x 7 days: 5600 calories that you did not consume!